The RDA is 60 micrograms for women and 75 micrograms for men. Selenium is an essential trace element of great importance to your health. Where do you get selenium? We get selenium from plants, and the amount depends on where they are grown. Parts of the USA have high soil levels while parts of China, Russia and Europe have low levels. Food with good selenium content includes kidney, liver, poultry, fish, grains, seeds, tomatoes, garlic, onions, celery, mushrooms, broccoli and Brazil nuts. It is a key component of a number of enzymes that protect us from the effects of free radicals. It maintains healthy skin, hair and eyes. It helps male fertility and protects against arthritis. It has a role in thyroid hormone function and improves the immune system. 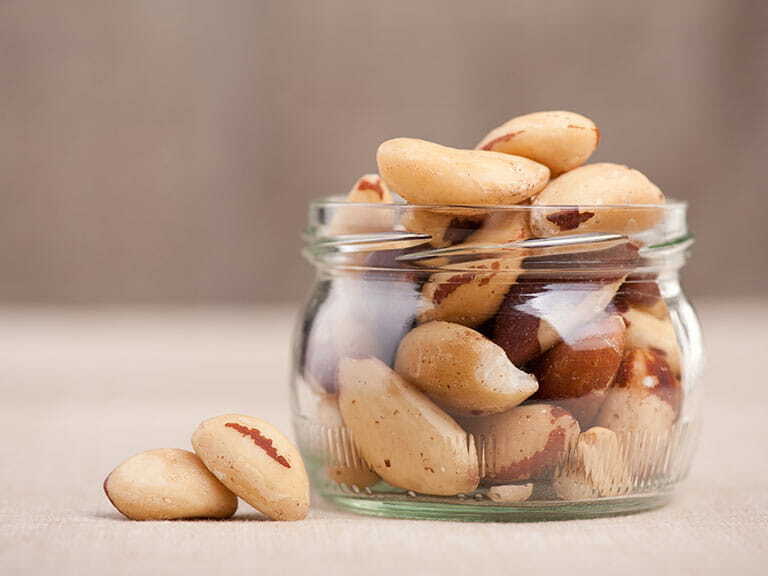 High selenium levels cause selenosis, the symptoms of which include gastro-intestinal upsets, hair loss, white blotchy nails and mild nerve damage. This is rare. People who may have low selenium those who eat too much processed and fast food, vegetarians, slimmers, the elderly and smokers. Mild deficiency is symptom-free. Symptoms occur over time and include infertility, low resistance to infections, high blood pressure, angina and muscular pain. Lack of selenium appears to be one of the main reasons for a weakened immune system. Nutritional opinion is that UK selenium levels are too low and there is a strong case for supplementation. The UK does not officially support human selenium supplements, but it allows virtually all farm animals to get them to prevent animal disease.